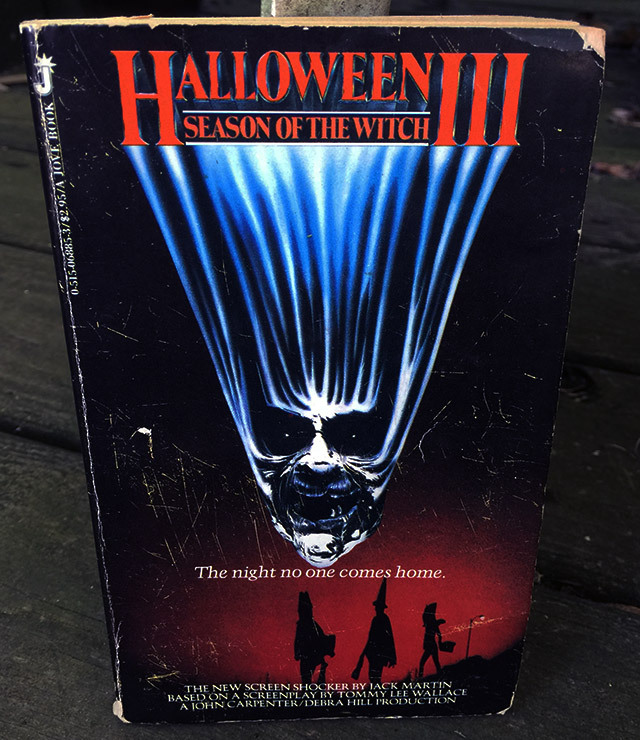 The Novelization of Halloween III! | Dinosaur Dracula! 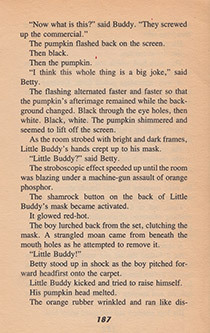 The Novelization of Halloween III! I love that Halloween III’s reputation has improved so dramatically over the years. Once commonly reviled, it seems like most people love it now — and for the very same reasons that others used to… not. 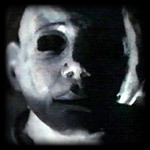 The film was originally conceived as the startpoint for what would’ve been an annual run of completely unique horror movies, with only the “Halloween” banner to tie them together. Iffy box office returns changed those plans in a hurry, and by Halloween 4, Michael Myers was back for good. For some, if the removal of Michael Myers was arguably forgivable, the fact that Halloween III featured such a drastic shift in tone wasn’t. If I said that the film was more “sci-fi” than “horror,” I’d probably lose the debate — but only after a strong showing. Ironically, that uniquity is part of why so many of us have come to adore the film. Look at the pile of movies classically thrown into homemade horror marathons. 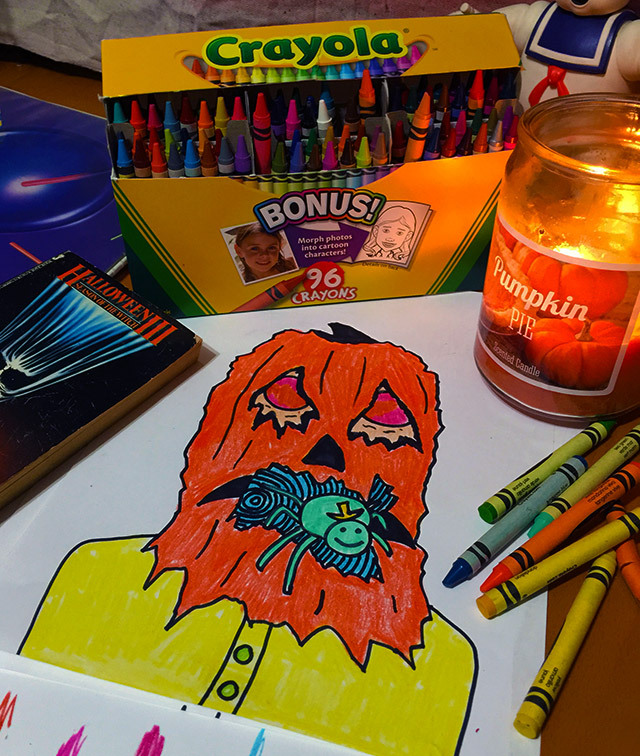 There’s nothing like Halloween III in that pile. That counts for a lot. 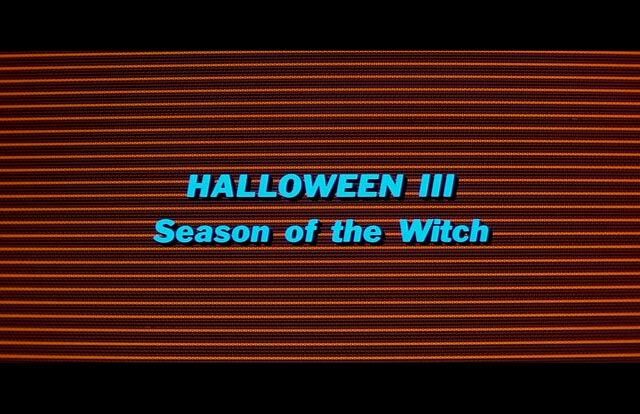 …but it’s just as true that Halloween III is a plainly great movie. It’s creepy as hell, always moving, and it has a kickass ending. The movie isn’t without its share of schlock and cheese, but with the story being so gripping, strange and haunting, Halloween III is impossible to forget. It’s one of those films that stays with you forever. 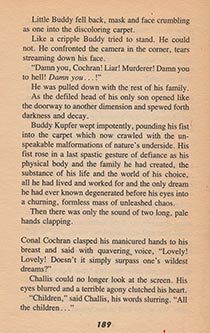 Perhaps that’s what drove me to pick up the official novelization, from 1982. 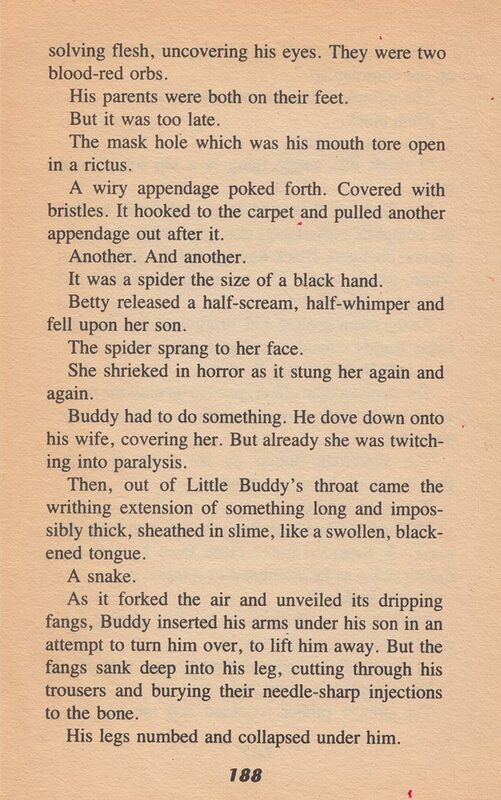 Written by Jack Davis (a pseudonym for Dennis Etchison, who has a pretty storied career in horror movie novelizations), I was immensely curious to see how the events of the film played out in print. Novelizations sometimes get a bad rap. In my (albeit limited) experience, the books add to stories you already love in ways that movies never could. Since authors would end up with unattractively short novels if they simply described films like play-by-players, the good ones reevaluate and reinvestigate everything: The characters, their motivations, the settings… everything. Here, Dennis Etchison (sorry, Jack Davis) certainly did. Warning: The scene is goofy in its way, but it’s definitely not for the squeamish. 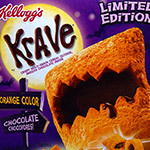 In the film, we learn that those Halloween masks Conal’s been shoving into stores harbor a dark secret. The Silver Shamrock “tags” on the backs of them are actually haunted gizmos that work via the combined powers of technology and ancient magic. Triggered by the rotating colors of the Silver Shamrock commercial, each mask has the power to… turn a kid’s head into a pile of bugs and snakes! The movie shows us this “trick” in action, in a severe and brutal scene. Even ignoring the fact that it’s an innocent child getting offed, the method is just AWFUL. It’s also a bit difficult to make sense of. Where are the creepy crawlies coming from, exactly? How does this work? THAT’S why I needed the book. 3) The random snake is still the scene’s “big bad,” but the book teases that there was a whole lot more coming out of Buddy’s head. In the movie, we just see a room partially filled with snakes and crickets. The book version indicates an unending MASS of creatures, in such volume that the victims can barely be identified. 4) Most notable is the author comparing Little Buddy’s “defiled head” to a “doorway to another dimension.” If we run with that, those earthly creatures weren’t earthly at all. 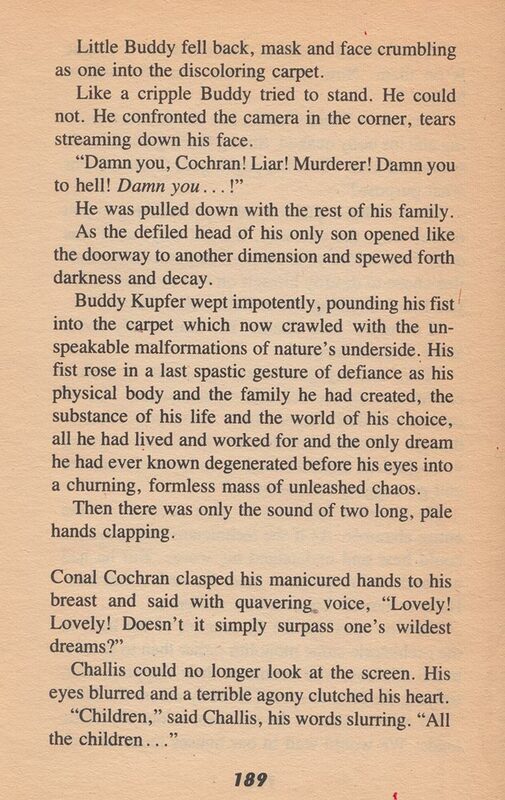 In effect, Conal Cochran aimed to turn kids’ heads into dimensional portals, connecting our world to a dark universe filled with nothing but spiders and snakes and God knows what else. I will always credit the film for outright showing such an incomprehensible event, but I think the book’s version is even creepier. The thing with the masks seems less like “really disgusting murders” and more like microcosms of apocalypse. That’s my interpretation of how Little Buddy looked, based on the book. I got a little freaked out while drawing it, hence the spider’s hastily added top hat. So, the point of this article? 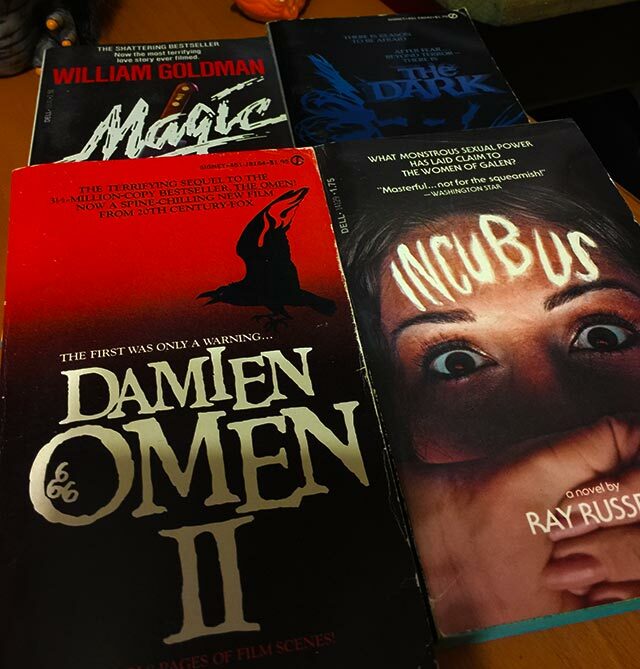 GO FIND SOME HORROR NOVELIZATIONS! If you’re like me, you’ve already seen your favorite scary movies a hundred times. You’ve already read every bit of trivia on IMDB. You’ve seen all of the DVD extras and you’ve read all of the fan theories. What’s left? Well, this! Doesn’t have to be a strict novelization, either. Many horror movies were based on books, and of course, I’d count those too. Hell, I fell in love with The Mist the second I saw it, and that love inspired me to read Stephen King’s original novella… which I ended up liking even more. While a movie may give you a glimpse of a fictitious universe, a book is more suited to making you feel like you live in it. 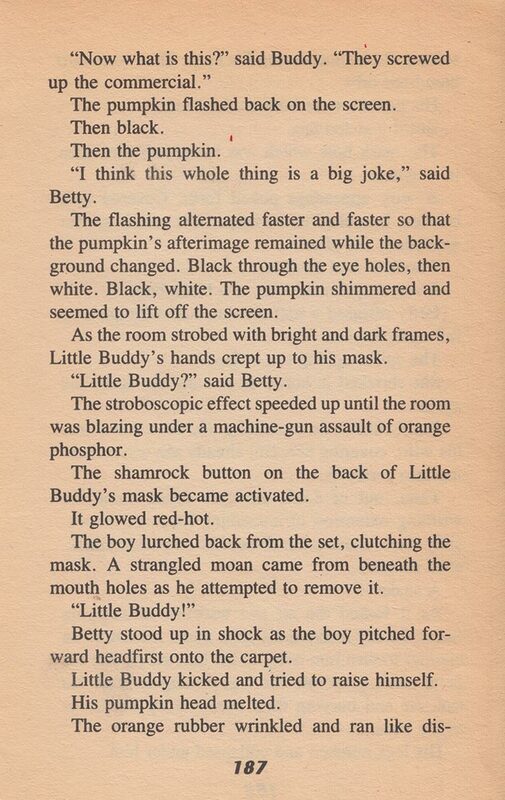 I’ve seen Halloween III a hundred times, but now that I’ve read this novelization, it’s scarier than ever. Classic Creepy Commercials – Volume 1! 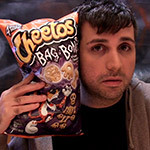 Cheetos “Bag of Bones” Review! 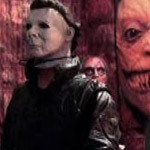 Madd Matt reviews an 18″ Michael Myers doll. 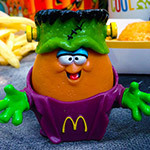 Halloween McNugget Buddies were SO GOOD. 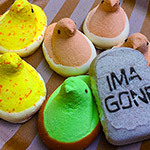 March of the Halloween Peeps.